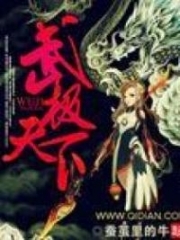 You’re reading novel The Demonic King Chases His Wife: The Rebellious Good-for-Nothing Miss Chapter 1290 online at LightNovelFree.com. Please use the follow button to get notification about the latest chapter next time when you visit LightNovelFree.com. Use F11 button to read novel in full-screen(PC only). Drop by anytime you want to read free – fast – latest novel. It’s great if you could leave a comment, share your opinion about the new chapters, new novel with others on the internet. We’ll do our best to bring you the finest, latest novel everyday. Enjoy! That crisp kneeling sound, Su Luo, upon hearing it, felt leg pain on his behalf. In fact, blood was continuously rus.h.i.+ng out from this captain's forehead, it had dyed more than half of his face red, but he didn't even have the courage to wipe off that blood. He trembled from head to toe as if he was about to faint at anytime. "This Venerable Lord, just now, it was this person being negligent, you, as a Venerable Lord, are magnanimous, please consider this person as a fart and let me go. I beg you, to spare my life ah." Estimated that this captain wouldn't die from excessive bleeding, rather, he would be scared to death. Su Luo pondered holding her chin, amusedly looked at Nangong Liuyun. So, it turned out what he took out was the Purgatory City's waist tablet ah. However, his waist tablet ought to be of a high position in Purgatory City, look how it scared this captain. If Nangong Liuyun didn't say he forgave him soon, he might get a heart disease from being scared. At the same time, Su Luo also understood, Purgatory City, these two words, in people's eyes, were how powerful, overbearing and terrifying. The corner of Nangong Liuyun's lips curved up slightly, he coldly snorted once: "What? Now you still block the road, don't want me pa.s.s right?" "No, no, no!!!" The captain, having heard this, had an overjoyed expression, and quickly waved his hand magnanimously, "Hurry, hurry up and open the city gate, everyone take three steps back, and let this Honored Sir pa.s.s!" Finished speaking, the captain bent and sc.r.a.ped to curry favor as he smiled flatteringly at Nangong Liuyun: "Venerable Honored Sir, please, please come in." Although the captain's face accompanied his words with a smile, but this captain was crying madly in his heart ah. He couldn't wait to send off this Venerable Honored Sir without delay. If he stayed here, he was like a time bomb ah. Rumor was that people that came out of Purgatory City always had bad temperament, killing people as if cutting gra.s.s was the most common thing. Moreover, even if they killed people, the four countries in this mainland wouldn't dare to accuse Purgatory City's people with criminal charges. Because behind their back was one of strongest experts on the mainland, the 'extremely biased liked to protect his own' the venerable Purgatory City's Master! Nangong Liuyun led Su Luo along by her hand and arrogantly walked inside. Behind their backs, they left behind a spirited discussion. "Huh, that pair of immortal-like beings actually got in?" "The captain that normally strutted around in front of us, just now, he even kneeled to them." "Not only did he kneel, but this captain was scared to the point of almost peeing in his pants." "That captain isn't an ordinary person, he is His Majesty's wife's younger brother!" "Oh Heavens, even the king's brother-in-law kneeled down to them, what are their ident.i.ties ah?" All of sudden, the sound of discussion in the surroundings sparked up one after another, continuously without pause. Nangong Liuyun led Su Luo and walked grandiosely into the imperial Capital. "I thought you would take out your Royal Highness Prince Jing of Eastern Ling ident.i.ty, didn't expect you'll use Purgatory City's strength." Su Luo recalled that captain's before and after actions that looked like a different person, and she shook in amus.e.m.e.nt. "Purgatory City is a transcendent existence in the mainland, just as long as one has this command tablet, as a disciple of Purgatory City, can enjoy all privileges." Nangong Liuyun stuffed this command tablet into Su Luo's hands, "Put it away well, it may be useful in the future." "The reason why you arrogantly entered with such a high profile, was just to demonstrate how to use this command tablet?" Su Luo was very smart, with a slight thought, she understood Nangong Liuyun's care. Nangong Liuyun returned a smile to her, flicking Su Luo's forehead: "Too smart is not cute ah." "Cute my a.s.s." Su Luo glared at him in annoyance, "Am I an idiot? That needs you to demonstrate how to use it?" You're reading novel The Demonic King Chases His Wife: The Rebellious Good-for-Nothing Miss Chapter 1290 online at LightNovelFree.com. You can use the follow function to bookmark your favorite novel ( Only for registered users ). If you find any errors ( broken links, can't load photos, etc.. ), Please let us know so we can fix it as soon as possible. And when you start a conversation or debate about a certain topic with other people, please do not offend them just because you don't like their opinions. You're reading The Demonic King Chases His Wife: The Rebellious Good-for-Nothing Miss Chapter 1290. This novel has been translated by Updating. Author: Su Xiao Nuan,苏小暖 already has 8005 views. Current Time is Apr-21-2019 02:19:01 AM.